With the fall comes more rain. You might have dodged a leaky roof so far but there’s no telling what has happened over the summer. It’s a good idea to inspect your roof not just by what you can see from down below but also up above. If this were a task that you are a little bit leery about, then it would be worthwhile bringing in a professional. 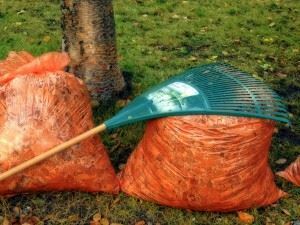 Raking leaves in the yard is a fall ritual that is also tied to cleaning out the rain gutters. It’s important that you keep those gutters clear of debris so that the water flows freely down the spout. Otherwise, it could back up and caused damage to your roof but also to the inside of your home. You also want to make sure that the water flows at least 3 feet away from the house to prevent possible water damage to your foundation. In the coming weeks, you might be turning on your heat for the first time since last winter. It’s always a good idea to get your furnace inspected at least once a year. This way you can isolate any problem and get it fixed before a total breakdown. Along with inspecting the furnace, you should also replace the filters in any of your air vents. In fact, it’s a good idea to get into the habit of replacing those vents once a month. Getting rid of rubbish isn’t necessarily a mandatory fall prep task but it is something that will greatly improve your living environment. You can make a lot more room in your garage and closets by sorting through all of the stored stuff and setting aside the things you know you’re never going to use again. Once you got that pile of unwanted clutter, give Junk King Sacramento call. They’ll dispatch a two-man moving crew and a truck for fast removal. The Junk King crew is going to do all the actual heavy lifting for you and that includes climbing up and down the stairs. Make this fall count by turning over your rubbish to Junk King Sacramento. This entry was posted in junk removal and tagged clutter, fall, junk removal, rubbish on August 29, 2017 by Junk King. Last updated August 29, 2017 .